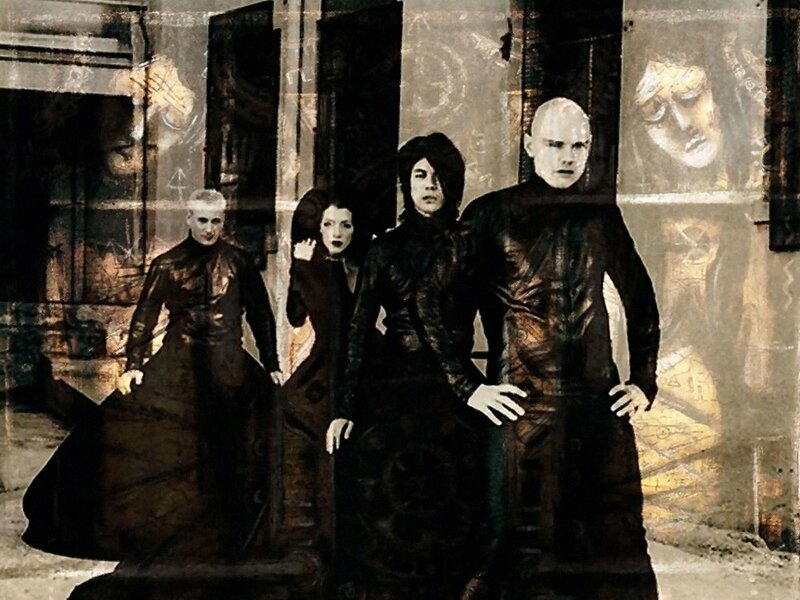 Crate Digging: The Smashing Pumpkins and the Musical Deus Ex Machina of "MACHINA/The Machines of God"
But due to poor album sales with the Chicago natives' previous effort, “Adore,” Virgin Records shut down any chance of the dual LP becoming a reality. With so much material being recorded, a secondary album, “Machina II: The Friends and Enemies of Modern Music,” was released via the internet for free for anybody to download it. With all of this being said, I'm going to focus on the album that had been physically released by the Pumpkins. Musically, this LP ranges from industrial sounds to dream pop to straight heavy metal (check heavy metal machine.) With that being said, the feel of the album remains in the same vein regardless of approach. Corgan might be screaming or pleading or just pouring his heart out as he breaks down over Chamberlain’s massive drumming or the accompanying fills, but the feeling remains. I believe one of the many common factors as this album plays on is that it is very produced, and even though guitar and drums are their main focus, synthesizers are heavily used in many songs. As I wade through the album, my favorite pieces of music have got to be “The Everlasting Gaze”, “Stand Inside Your Love”, “Try, Try, Try,” “Glass and the Ghost Children” and “Blue Skies Bring Tears”. The album is not without it’s flaws, however, with some of the most notable being “The Imploding Voice,” which seems not as well constructed, possessing an awkward guitar progression riding over a vocal that seems out of place. And the song “With Every Light” just feels like it’s more of a throwaway track than one that made it onto this concept album. And since this was originally poised as a concept album that not many Pumpkins fan could ever seem to get right, here’s my opinion. Our protagonist, Zero, is a rock star who, at one point in his life, hears the voice of God, switches his name to Glass and changes the name of his band to “The Machines of God.” The album follows our hero through his disintegrating ego, culminating in possible insanity through a sense of self-importance. "Maybe God never spoke to me?," he wonders aloud to his unnamed and drug abusing girlfriend after noticing her in a self induced heroin stupor. Believing that she will forget or not even remember the conversation, he just goes on and on about his routine, and she accuses him of being insane, an event which finds expression in the track “Glass and the Ghost Children.” This is where the album begins to change, and we lose sight of the larger story. But the themes of sadness, self-importance, self-realization, anger and love still ring clear. What is impressive is at this point in the album I have realized that everything thus far has been part of a deliberate theatricality. But is Corgan also waving his white flag and realizing that the loss and overall ending of the band was perhaps caused by him this whole time? The regret he feels continues through “The Tree of Mercury," possibly one of their most underrated songs. Lyrics like “I’ve been waiting like a knife to cut open your heart and bleed my soul into you” and “although I’m selfish to a fault, is it selfish it’s you I want?” are tear-jerking at its very best. In the end, he comes to realize that when everything becomes clear around him and he understands finally why they are in the place that they are, everything leads back to him -- and it is so clear and so in front of his face that he cant turn away from it. The album is incredibly underrated, though not perfect (see above). It is absolutely worth giving another listen in the future. Come up with your own theories. Everything is up for interpretation. But eighteen years ago, when music really wasn’t at its best, a '90s giant of a band offered a very personal, true and beautifully heavy-hitting album that, even if it does miss the mark a bit, still deserves a rummage through a crate of forgotten memories. And it certainly earns that further investigation. I don’t score albums. I don’t think you can really justify art that way because we are all going to see things differently. I can, however, tell you that “MACHINA/The Machines of God” deserves more respect among music fans in general. So today, if you’re feeling a bit nostalgic, turn the page back to the year of boy bands, frosted hair tips, auto tune and pop divas and get your Smashing Pumpkins on.